53 posts categorized "Reusable Bags"
Last March, IKEA began charging 5 cents for each plastic bag with the hopes of reducing usage by 50 percent. Last month, they announced that not only is the fee working, they have experienced a 92 percent drop in usage. Our Take: Our congratulations to IKEA for being a strong leader in a sea of mindless consumption. 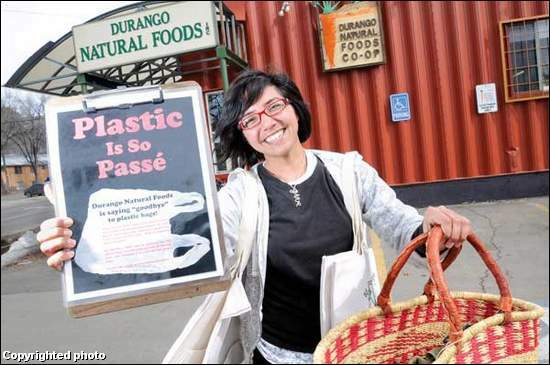 They see that use-and-toss shopping bagsâwhether plastic or paperâare at the heart of the issue. This is more evidence that fees work. We are proud to have helped inspire them to take this bold step and hope that other retailers will follow suit. What do you think? As of Oct. 2008, IKEA will no longer offer disposable plastic bags at checkout. 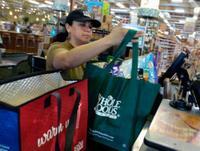 No, paper bags won't replace the plastic bags. 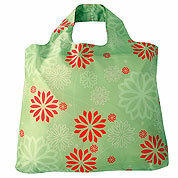 Customers will need to bring their own bag, buy an IKEA reusable bag for 59 cents, or go bagless. The movement to curb plastic bag use and production is gaining in popularity because of cities like San Francisco- the first US city to prohibit large stores from distributing disposable plastic bags. Now the plastics industry is fighting tooth and nail to prevent the trend from spreading across the United States. 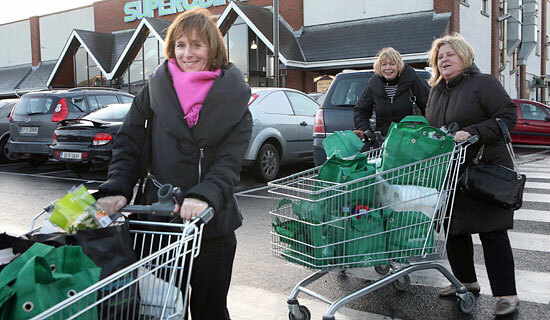 Many attempts at bans have already been prevented, usually ending up as voluntary recycling drives instead. On a recent Sunday, I stood in a long line at the Dupont Circle farmers market. At the front was a young woman, juggling nearly a dozen apples as she tried to hand them to the cashier to be weighed. "Here, let me get you a bag," the cashier suggested. "No. No," the woman answered harriedly. "I brought my own!" The cashier glanced at the growing line of impatient patrons. And the young woman turned around, too, a pained look spreading across her face. "Okay. But then take them out. I can put them in here." Pause. "Really, I really don't want one." It was, perhaps, a sign of the times. 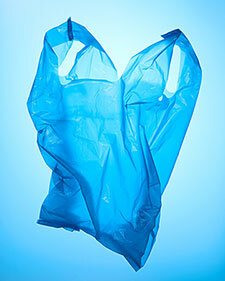 The plastic bag, that staple of modern life, is about to become radioactive. Once upon a time, the question was plastic or paper, which had its own somewhat uncertain calculus of virtue and waste. Now, it has begun to dawn on people that you don’t need either. 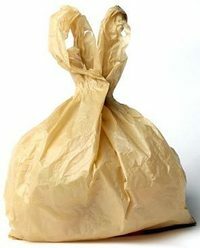 Plastic bags are not the biggest single issue out there, and no expert on global warming would suggest solutions rest wholly with decisions made by individual consumers. On the other hand, it is estimated that the United States goes through 100 billion plastic bags a year, which take an estimated 12 million barrels of oil to produce and last almost forever. And if individual decisions can’t solve the problem, the wrong ones can certainly compound it. 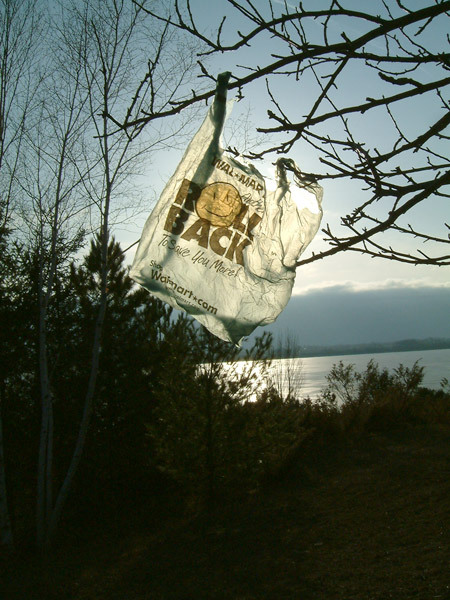 Citywide plastic-bag bans are gaining momentum. But will companies be the ones that force us to change? After the plastic water bottle, you couldn't do much better than the plastic shopping bag as a symbol of American consumerism run amok. We go through 380 billion a year. An estimated 5.2% get recycled; in landfills, they could last 1,000 years. 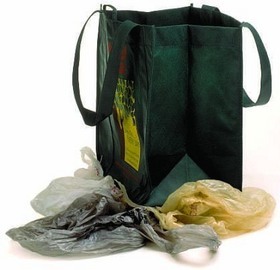 Bags are made from oil, and our bag habit costs us 1.6 billion gallons each year. That last statistic, and its link to global warming, is starting to drive change. See how four high-profile programs rate: Walmart, Target, Whole Foods and Ikea. 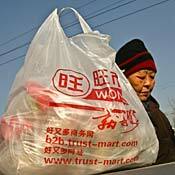 Link: Citywide plastic-bag bans are gaining momentum. But will companies be the ones that force us to change? Best Overall, the Acme Workhorse 1500, was styled like a typical plastic grocery sack. Of nearly weightless nylon, it folded into a tiny rectangle for storage. Our Take: We are very proud to have our Acme Workhorse bag selected as "Best Overall" -- we spent over 2 yrs developing and refining this bag - as with all bags we develop, we really sweat the details! Since its introduction back in early 2003 it has been one of our most popular bags and has inspired lots of knockoffs. 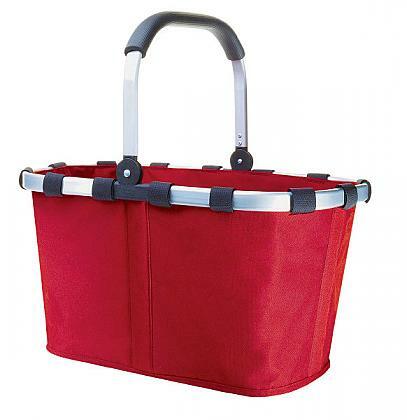 Look for more outstanding products and innovations from our award-winning line of Acme Bags! Carrefour's reusable bag campaign that was launched on February 26th, 2007 in the UAE, aimed at creating awareness on the impact of plastic bags that pollute the ecosystem and encouraging shoppers to reduce their use, has registered total sales of 600,000 reusable plastic bags. 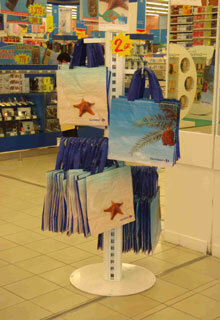 Available at checkout counters as an alternative to plastic bags, the Carrefour reusable bag are sold at cost price. "If they are damaged at any point, the bags can be replaced at any Carrefour outlet free of charge," added Jean Luc Graziato, Vice President of Marketing and Sourcing at MAF Hypermarkets (Carrefour).